The main airport for Oslo is Oslo Airport (OSL) located at Gardermoen about 50 km north of the city. Oslo is easily reached by a short train ride. Turn right after you have cleared customs, and you will find the trains at the end of the hall. Oslo Airport has good wheelchair access and provides assistance for disabled passengers. Quality Expo Hotel is located in the Fornebu area of Oslo, about nine km from the city centre. The easiest and most convenient way to get from Oslo Airport to the hotel is to take the train from Oslo Airport Station (Oslo Lufthavn) to Lysaker Station and then a 3 minute bus ride to the hotel. There are two train companies, NSB and Flytoget (Airport Express Train), operating this line. We recommend the NSB train which is half the price of the Airport Express train. NSB is also easier for wheelchair users, but both alternatives are accessible. Wheelchair users travel for free on local buses and trains (L-trains) – not the regional trains (R-trains). The bus from Lysaker to Quality Hotel Expo is a local bus – and wheelchair users travel for free. Assistants must buy normal tickets. From Lysaker station (platform B) you have to take bus 24, 31, 31E or 36E (towards Snarøya) to the Fornebuparken bus stop (takes 3 minutes). The bus departs every 3-10 minutes during the daytime. Your NSB train ticket is valid on the bus from Lysaker to the hotel. You need to by a separate ticket (NOK 33) for the bus. For your convenience we recommend downloading the RuterBillett app to your phone. Flytoget (train): App or ticket machine before you board the train. NSB (train): App, ticket machine or on board the train. Note: You will be charged an extra NOK 40 if you choose to buy your ticket on board the train. Ruter (bus): App, ticket machine or on board the bus. Note: You will be charged an extra NOK 22 if you choose to buy your ticket on board the bus. Tickets bought on board the bus must be paid in cash. No denominations larger than NOK 200 will be accepted. Public transportation in Oslo is very convenient to use. Both NSB (train company), Flytoget (Airport Express Train) and Ruter (bus company) have easy to use apps for buying tickets. We would recommend downloading both the NSB and RuterBillett apps as they would make it easier getting around. Visit the airport website or Visit Norway for more information on travel to/from Oslo Airport. From the Jernbanetorget bus stop outside the Central Train Station (Oslo S): Take bus 31 or 31E towards Snarøya to Fornebuparken (23 minutes). We recommend buying your ticket using the RuterBillett app. 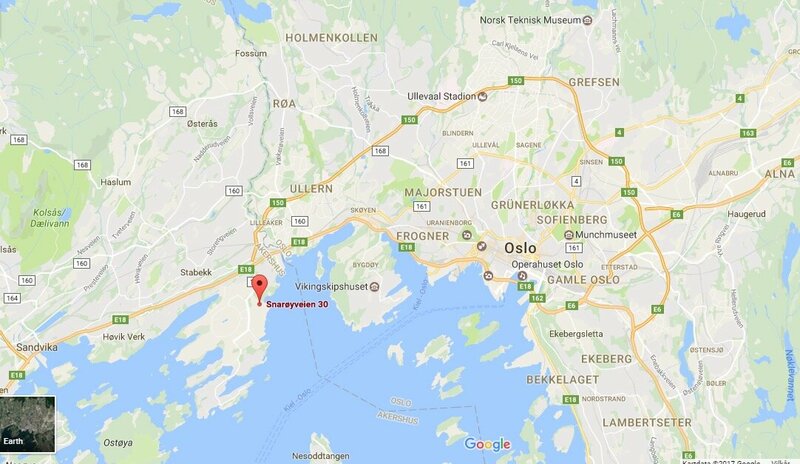 Torp Sandefjord Airport (TRF) is located about 110 km south of Oslo on the western side of the Oslo Fjord. Airlines operating from Torp are KLM, Norwegian, Ryanair, Wizz Air and Widerøe. Travel time from Torp Airport to Oslo is about 90 minutes. Visit the airport website or Visit Norway for more information on travel to/from the airport. Note that wheelchair access in the smaller airports is not as good as at the main airport (you need to be carried in and out of the airplane), but you can get assistance. Quality Hotel Expo has a parking garage where you can park your car for NOK 150/24-hour period. Tickets are paid at a pay station before leaving.